A few months ago I joined foursquare after Grant encouraged me to try it out. I enjoyed it for the first few weeks, but then I noticed there were duplicate venues for one place. Normally most of the duplicates had the wrong address or the name of the venue was not spelled properly. With foursquare you can't change things on a venue unless you are high super user and it has to be granted by foursquare. Unfortunately, there aren't many super users so this does not help solve the problem. I've slowly started noticing people adding a new venue even when they've checked in at the venue before. They do this just so they can become mayor of a place. Now I can understand mis-checking-in I've done this before and it can be an easy thing to do if you don't pay attention but to create a duplicate venue with the wrong address and the venue name completely misspelled is just plain annoying and stupid. And why do the venues that I create with the proper name and address just disappear off Foursquare?! And why would they be deleted or disappear and then replaced with a venue that isn't filled out properly? This is why I'm quitting Foursquare. I have no use for an app or social network that does not work properly. The fun is gone for me on foursquare and I'm moving on to something different. ;) Totally agree. Also, sometimes I will refresh my locations list with GPS on and a place I know should exist doesn't show up. I'm sure people have added places in error because of this. I doubt many people would be as meticulous as those of us who care to actually google the address for the location, phone number and categorize it properly. Discovered your blog when I unseated you as mayor of tinsel town. ha! Love your postings and tech enthusiasm! So it was you! :P I think it would be better if there were more super users in the area that could fix venues. I know it's still a fresh social network so there are going to be issues, but stuff like this just makes it not worth using. And thank you! It's got a ways to go, but they're really the first people to deal with these kinds of issues. I think in a few years it'll rock. I agree with iEllie, Foursquare has its limits. In my option just “checking-in” doesn’t add value too a retailer, why would you pay foursquare if the customer is already in the store? And because all the content is user generated it truly takes away from the uniqueness. 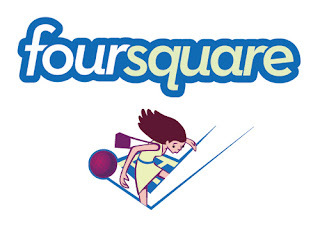 Yes...Foursquare is cool, but is lacking some key Customer Loyalty principles. Once company worth keeping your eye on is Cinco Squared. They have a simple concept that makes so much sense. Their twist is great for both customers and businesses. Testimonials online are quite impressive. Worth checking out. If you are interested in a site or utility that helps you share your experiences as a consumer in a meaningful way that’ll help others find similar great places, you should follow @raveorbash. We are launching our beta site in March 2013. We are going to disrupt the review space by eliminating fake reviews and check ins.